To celebrate my blog birthday I have treated myself to a new camera. So expect some amazing shots for the new year. On a bad note, it was a very bad experience and a case of bad customer service from Jessops. We went to Jessops (Islington) yesterday and decided on the camera I wanted (Canon 600D + 18-55mm lens) the store price is higher so we reserved online to pick up in store. I obviously needed accessories with it but I had done my research beforehand so I knew price ranges and what to get from where. I informed the sales assistant I didn’t want a tripod from Jessops as I had found one online for £15 from Amazon, he advised me that the tripod was rubbish and spent AGES talking me into buying a Manfrotto carbon fibre tripod as it was on offer for half price for £50, so I agreed to buy it along with a 50mm lens. Now come to the till and everything was getting put through the team manager informed us that the Manfrotto tripod was NOT on sale for half price and that his colleague had made a mistake and that it had the wrong code on it and that I had to pay full price. I refused and was obviously angry after spending 2 hours in the shop to be convinced to buy something and then be told they can’t do nothing about it. I told them they should honour it as it was their mistake not mine, it’s only £50 instead of losing a customer. After a lot of talking/arguing later the store manager called the area manager and informed us that the area manager refused to honour it. So, we came home empty handed. This morning we decided to go to another Jessops branch in Wood Green, this time to buy the camera only. We tried to do the same thing by ordering online and collecting in store, we was told the online price had gone up. We said that can’t be, but anyway we still had our reservation at the Islington branch for a cheaper price (they send a text to confirm) which was held until the 30th. The store manager ‘Colvin’ told us he would call them to check, so he did with a attitude problem and then after his telephone conversation informed us that our reservation was wrong and he had cancelled it. By this point we were at boiling point, we had spent over an hour and were still getting nowhere. Colvin insisted we buy the camera at the new higher price, customers were seeing our frustration and curious as to what’s going on, my husband informed them that the customer service was ridiculous and then another member of staff Dina told him to “shut up” and not talk to the customers which was incredibly rude, what kind of a way is that to talk to the customer, haven’t they ever heard of the saying “the customer is always right”? Anyway, we then we almost walked out and asked for a leaflet which explained about a £50 cashback offer exclusive to Canon cameras, we was told they couldn’t give us one without a purchase. Wrong. Straight after we was on the phone to head office, after the explanation of the situation everything was sorted thanks to Rob the area manager, we got the camera for the price we reserved it for and the tripod for half the price like we was informed and a heap of leaflets. He was apologetic and informed us that infact yesterday he told the store manager in Islington to honour the tripod for the price we was told as it was their mistake. I can’t believe that the store manager in Islington lied to us, she probably felt bad and didn’t want to go back on her word that “head office won’t do anything”. Oh how wrong they were, at the end of it we paid for everything in Wood Green but had to pick up the items from Islington as it was out of stock. You had to see their faces when they saw the receipt. PRICELESS! However, I am extremely upset with the level of customer service, it’s not everyday you get lied to and told to shut up from sales staff, I do hope Jessops train their staff properly from now on and I don’t have to waste my time writing about my experiences. I have finally taken the plunge to start a baby blog called BUBBAGARM, I have accumulated so many things and a whole bunch of knowledge that I need to pass it on. I'm always trying to create and make space so expect baby storage tips, reviews on products and toys, hauls, Baby OOTD and how to be a yummy mummy! Check out my first review on the blog for Freddie the Firefly. Oh wow, what dickheads! I hope the Islington mgr is reprimanded by head office. Glad you've got your new cam now after all that hoo-haa!! Have loved following you over the years. Ugh, I DETEST bad customer service and I hate to see that it seems to be on the rise. When you come across good customer service, it means so much and doesn't cost the person a thing so I don't know why it's so hard to come by. So glad you got everything you wanted at the price you were told. I just wish the camera had been charged up at that moment so you could have taken a picture of their faces! Happy Birthday to your great blog! Well done on the 3 year Blog Birthday!! Thank goodness u finally got e camera,Happy Blog birthday ur site is awesome always look forward to your posts! Happy 3rd birthday to Bubblegarm and congratulations on you, Muhsine! Your blog is wonderful place - thank you for the great work you've done, we appreciate it! You and your hubby have this precious little thing, best wishes for her - health, luck and great childhood! It's some kind of superstition but it is not good idea so may people to watch your baby's pictures on the internet, there are people with negative energy, so be careful with your lovely girl, she is so sweet! 3 years is a LONG time for a blog. Congrats! Congrats on three years! I love your blog but haven't ever commented before. That story about the camera is priceless! I'm so glad you were persistent and got what you deserved in the end! Excited for your new bubbagarm blog! Thats awful, but at least you got it all in the end which is still awesome! ps. congrats on three years and the baby blog!!! Bubbagram is so cute! Is the writing on the bottom of the blog say? I know it's an Arabic language, but I don't know what it says! Wow, that is incredibly rude...especially the part where they told your husband to shut up?! What the hell?! That's awful! I know how frustrating this kind of thing can be, I hate being taken advantage of and when shop staff or companies are rude and lie to your face. It's terrible! Happy 3rd Blogging Birthday honey!!!! 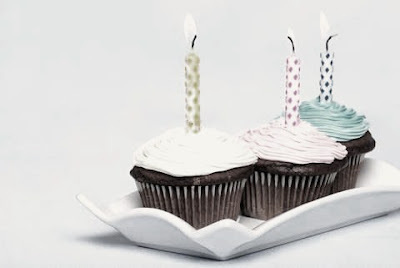 Awww Happy 3rd birthday to your fab blog Muhsine! Yours was one of the 1st blogs I'd started reading :) My gosh what disgusting service, must have been a horrible experience for you! Hope the staff at the branch got a serious reprimanding for that! Looking forward to seeing lotsa pics from your new camera! Omgsh that is absolutely awful! Can't believe some lady told your husband to shut up! It's so ridiculous!! I really want to follow your new baby blog (became a mummy myself this year too!) - but I can't see a Bloglovin button on it???? Everyone is looking for high quality online baby products that are very easy to purchase for your little one. I have found best baby store that provides superior quality of the online baby products at affordable price and with special discount offer in all kind of baby products. What a bad experience! I really feel for you. We have a law in my country saying (among other things) that when a store labels an item wrongly, they are obligated to sell it to you for the label price if it is lower than real price. Still, being told to shut up by store staff... I would have told them something really nasty at this point. Anyway, glad you have your camera and am looking forward to reading your new posts. What a nightmare service! Glad you got it all sorted thou.. Happy bday, I've just discovered your blog and I really like it ! Wow that's absolutely disgusting customer service and from a manager too?! You'd think they'd treat their customers better than that when their coming to purchase expensive items! Defo going to be avoiding that place. I have purchased baby products from a2zbaby with special discount offer and affordable price so now I want to recommend to you that you can enjoy with this special offer and you can buy baby products online. Support local businesses and go to a independent camera shop, they're always 100 times better service, they tend to throw in free camera bags and memory cards if your spending a lot and everyone who does photography knows Jessops are ridiculously over priced. Plus you can get second hand lenses in independent shops for half the price, as long as they're in condition and not scratched there's no need to buy a new one.